Comfort and relaxation after your busy day can be found in one of our 368 well-equipped rooms in the Standard, Superior, Executive, Junior and Business Suite categories. All rooms have Wi-Fi access at no charge and feature satellite TV and a bathroom with bathtub and toilet. All hotel guests enjoy complimentary admission to the fitness centre. Rooms in this category offer 18 m2 of living space and come equipped with satellite TV, telephone, and a bathroom with bath and hand shower, toilet, and hairdryer. Wi-Fi is available at no charge. 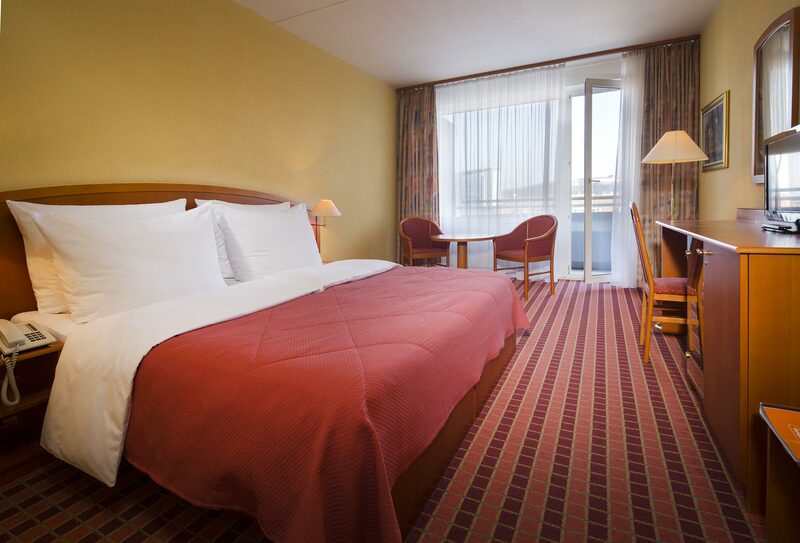 The rooms are located on the upper floors, giving you a beautiful view of the city. Every room is air-conditioned and some have balconies. Rooms in this category offer 18 m2 of living space and come equipped with satellite TV, telephone, and a bathroom with bath and hand shower, toilet, and hairdryer. Wi-Fi is available at no charge. Upon arrival, you will receive free mineral water. 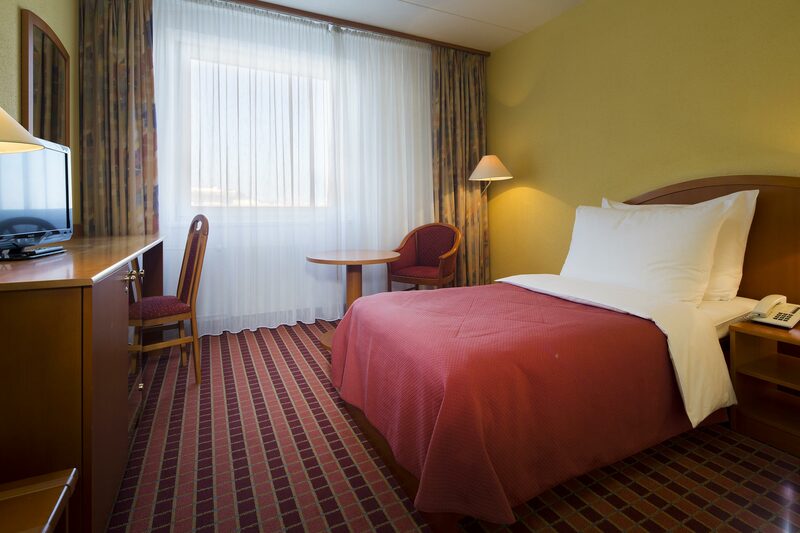 Rooms are located on the upper floors of the hotel, are air-conditioned and some feature balconies. A complimentary coffee and tea set, high quality toiletries, bathrobe and slippers are provided for your comfort. Rooms in this category offer 18 m2 of living space and come equipped with satellite TV, telephone, and a bathroom with bath and hand shower, toilet, and hairdryer. Wi-Fi is available at no charge. In-room refreshments include a minibar with alcoholic and non-alcoholic drinks. Upon arrival, you will be provided with fresh fruit and mineral water. Each room in this category offer 46m2 of living space and comes with a dressing room, bedroom, living room and air-conditioning. Amenities include satellite TV, DVD player, personal scale and telephone. The bathroom has a bathtub with hand shower, toilet, bidet and hairdryer. Complimentary coffee and tea sets are provided, as well as alcoholic and non-alcoholic drinks available in the minibar. Parking and Wi-Fi are offered at no charge. Each suite in this category offer 46m2 of living space and comes with a dressing room, bedroom and meeting room for 6 people. Rooms in this category come standard with air-conditioning, satellite TV, DVD player, personal scale, minibar and telephone. The bathroom has a bathtub with hand shower, toilet, bidet and hairdryer. Free coffee and tea sets are available for the duration of your stay. Upon arrival, you will receive fresh fruit and mineral water. Parking and Wi-Fi is offered at no charge.